Hi all. Long time no post. Hope everyone has been enjoying a very nice summer, or winter, as the shoe fits. We’ve been busy bees in the Trixie household, namely clearing out a scrubby portion of the property to put in a butterfly garden and redoing a workshop for yours truly – this was a long time coming and I am thankful thankful thankful for the Husband Who Can! 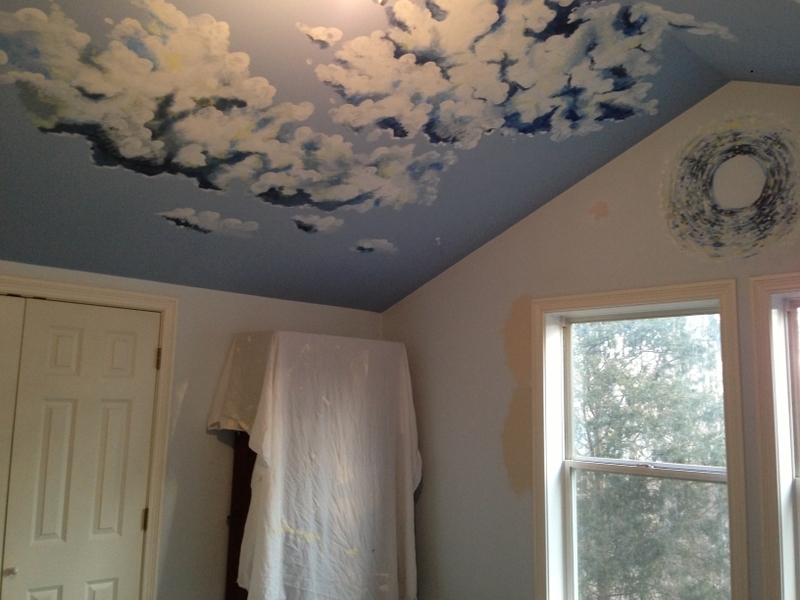 The clouds on the ceiling had been done in oil paint and were very texture-y, hard to remove! I am a sewing fool once again!! 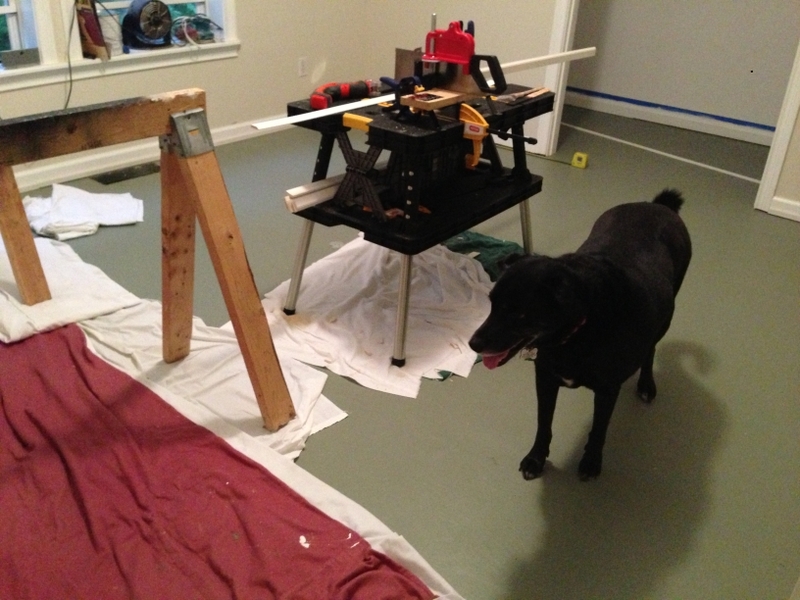 Pictures of the butterfly garden coming later (still in progress). 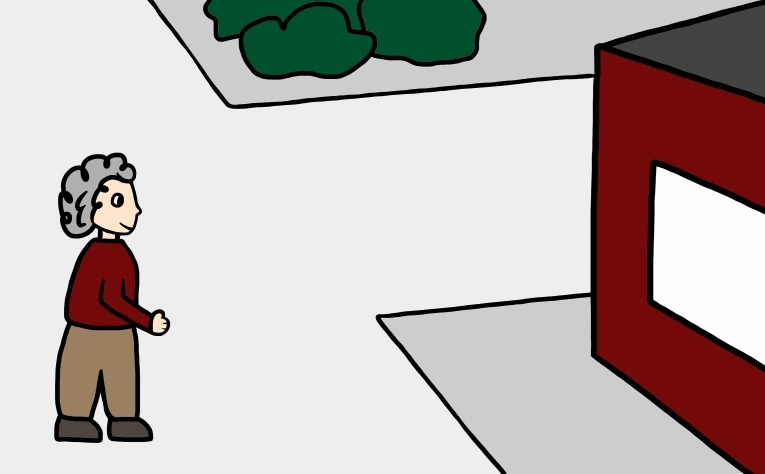 And, as for comic strips, here is a preview of the next installment, featuring the invisible Trixie. 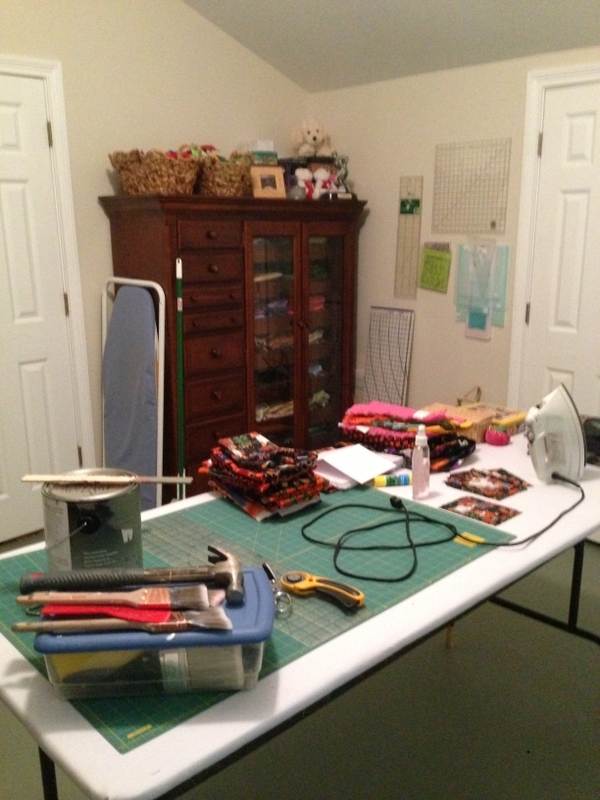 This entry was posted in Blog Update and tagged remodel, sewing, studio, Trixie, workshop. Bookmark the permalink. 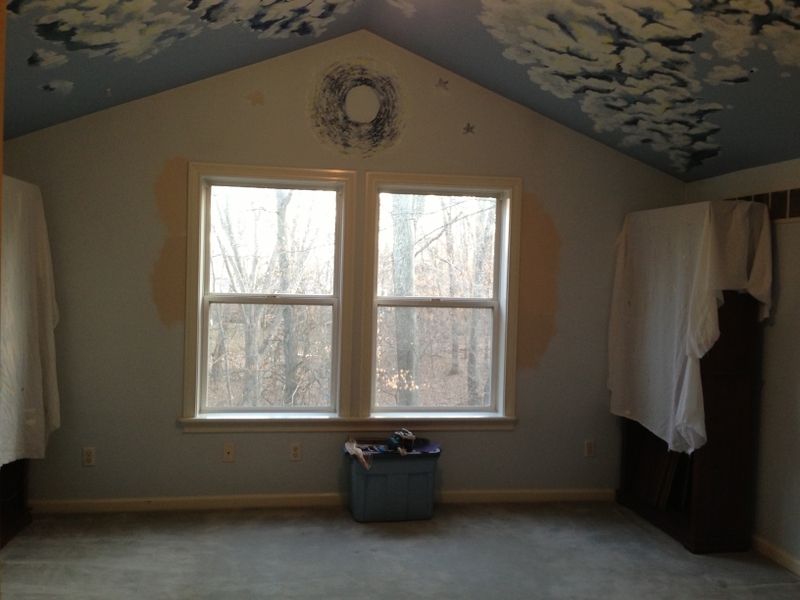 How exciting to have a new, fresh & clean space! 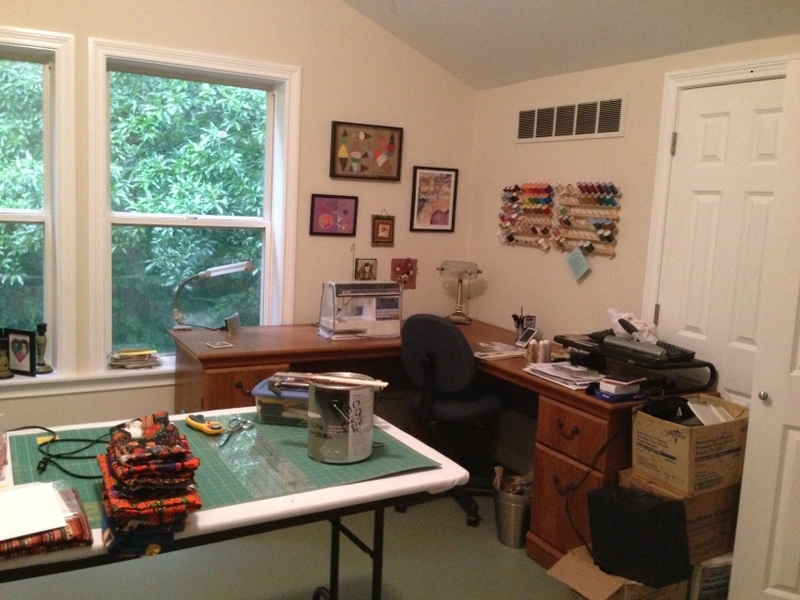 May your creativity keep growing in your new studio!